When it comes to perfumes, I love fresh, floral and summery scents the most. Maybe it’s because I live in Scotland and sunny, warm weather is a bit hard to come by but I definitely find these scents uplifting and they generally put me in a good mood! British perfume expert Cath Collins has recently introduced two new perfumes into her collection and one of them is Lily Fandango*. The scent is inspired by Caths own garden full of lilies, jasmine and cassis and added is a hint of citrus and oriental notes which makes this perfume such a great choice for Spring. I think this perfume would be perfect for all ages, it’s not sickly sweet in the slightest or overpowering. When I first sprayed the perfume I found that the citrus scent is the dominant note but when it starts to settle, the floral scents really take over. As I'm currently suffering from really bad hayfever, it’s lovely to have these scents without having to be near flowers! I really love the packaging of the bottle too. The hot pink stripes makes it stand out from other perfumes and it’s definitely one to remember. Although I love the packaging, I also really like how the perfume bottle inside is very simplistic and elegant so it fits in well with the decor of my room. If you or any of your loved ones like fresh floral scents, I’d definitely give this a try! 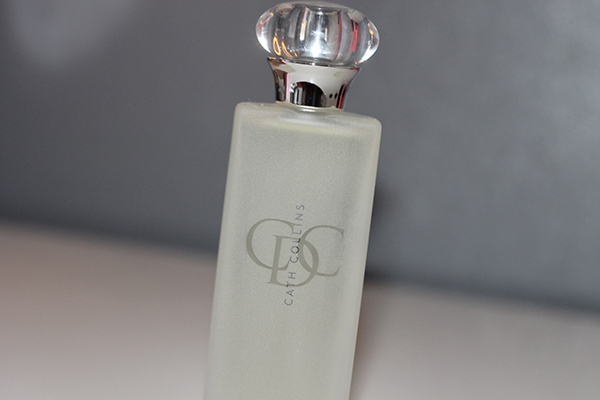 You can purchase Lily Fandango for £35.50, 50ml directly from the Cath Collins website. If you're a little shy about buying perfume before trying it, you can purchase a tester set of 3 of the Eau de Toilettes including Lily Fandango for the amazing price of £3.33.